For some players, slots are all about the thrill of hunting a big jackpot. Sure, you may spend a lot of time and cash slowly building up to it, but it’s all worth it when that one lucky spin finally hits, activating the special feature and win upon win piles upon you, with numbers that are so big they make you dizzy – with the only numbers that might make you dizzier being the amount you spent to get to that awesome win! 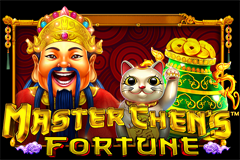 Master Chen’s Fortune is a Pragmatic Play release that doesn’t burden it’s players with high variance or special features – it starts and ends with what you see on the playing field. And what you see are playing card symbols – 9, 10, J, Q, K and A, as well as a green pot full of gold, oranges sitting on top of gold, a bonsai tree with gold instead of leaves, and a waving cat figurine with a gold necklace. The Scatter symbol is a golden coin, and the Wild is the Chinese God of Wealth. There’s a lot of developers who’ve been around for ages, and still continue to release good titles, though maybe riding slightly on their coat-tails and former glory. Pragmatic Play had no such luxury – founded in 2015, in three short years, the company pushed forward from a relative unknown to one of the major players, partnered with a wide range of casinos that spread its titles to 78 different countries and 26 languages. They have well over a hundred video slots, embracing the HTML5 revolution – you won’t find a single flash game among Pragmatic’s releases, we can guarantee you that much. And just in case you were worried, the company boasts licenses from both the Malta Gaming Authority and UK Gambling Commission, two of the most difficult licenses to acquire. Master Chen’s Fortune may be one of the simplest titles we’ve reviewed in a good while, so much so that it might prove a good starting point for new gamblers who don’t want to be overwhelmed with choices and things to keep track of. The 9 paylines the title has are fixed, so you can only adjust your wager up and down. You can bet $0.09 up to $45 per spin, which should please low rollers and high rollers alike. Another important thing to highlight is that all symbols pay left to right and right to left on this 5×3 playing field. 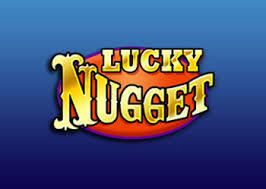 As with other Pragmatic titles, this one has a very extensive autoplay option, in which you will be able to set how many spins you want, as well as if you want fast spins, for the autoplay to stop at any win, or if a feature is won – or if your cash exceeds a certain threshold, both positive and negative. There’s really not much to look at here beyond the fact that whoever designed this title has a serious gold obsession. Honestly, we get a jar full of gold, but a bonsai tree with gold coins instead of leaves? Now that’s just unnatural. The backdrop is a flat background, depicting a turquoise scroll extended behind each reel, and thanks to a light shading effect on the ordinarily transparent reels, the colour doesn’t clash against the rest of the symbols. Now, when we said there aren’t any features, we weren’t lying. The only thing the Scatter will do is pay out a cash win. But there is a bonus – as Wilds, which can only appear on the second, third and fourth reel, reward a 2x multiplier to any win they are a part of. The highest possible jackpot you could win is a five-of-a-kind waving cat win, with one of the cats replaced by a Wild – which would amount to 1111.11x the wager, thanks to the 2x multiplier of the Wild being present. Master Chen’s Fortune is a low to medium volatility title – big wins are possible, but very rare – it’s more likely you will see frequent, small wins instead of big jackpots. The title has an RTP of 96.48%, which is above average for video slots. While we weren’t particularly taken with the graphics, the simplistic gameplay was a nice change of pace compared to some games in which it feels like the developers tried to squeeze in as many bonuses as they could. Master Chen’s Fortune is fun to play, despite a lack of special features – and we recommend giving it a try yourself if you’re looking for something more laid back.